No ordinary energy gel, Honey Stinger is made with only the finest domestic honey. Vitamin B complex, potassium and sodium are added to help the body absorb proteins and fats, breakdown carbohydrates into glucose, provide energy and improve recovery. 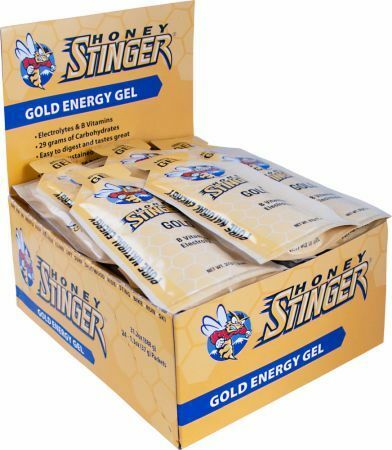 * Honey Stinger energy gel may be consumed directly from the packet before, during or after exercise. Truly the most versatile energy gel on the market, Honey Stinger may be mixed with water or other beverages, added to smoothies, or spread on toast, cereals, bagels and fruit.